Eye On Tampa Bay: Kriseman in a bind on the Rays – Deal or no deal? 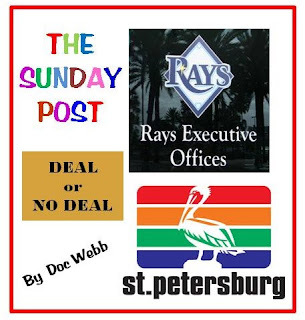 Charlie Fargo Tampa Bay Times has the details in his article St. Petersburg approves proposal that allows the Rays to consider stadium sites outside the city. See the whole back story in Charlie Fargo's Tampa Bay Times Article Third time the charm? St. Pete City Council considers another deal with Tampa Bay Rays.